Furry Fury Nail Art | Nail art tutorials, hauls, swatches, practical tips..
Nail art tutorials, hauls, swatches, practical tips..
Firsly, the Essence Whoom Boooom-inspired look I’d promised ages ago. This was obviously inspired by the retro comicbook-style packaging of the Whoom Boom limited edition collection that came out in February… I know that was ages ago but you can still pick up a few items from there if you’re in the Netherlands, because the limited edition collections always come here late for some reason. 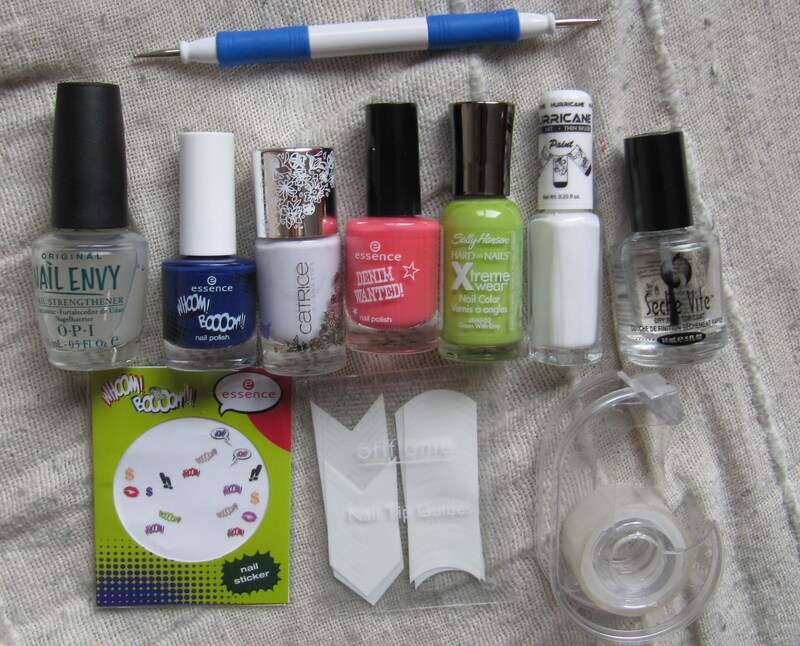 A base and top coat; dark blue, white, coral red, and lime green nail polishes; a white tip painter (for corrections); a small dotting tool, Essence Whoom Boooom stickers, angled french tip stickers, and clear adhesive tape. 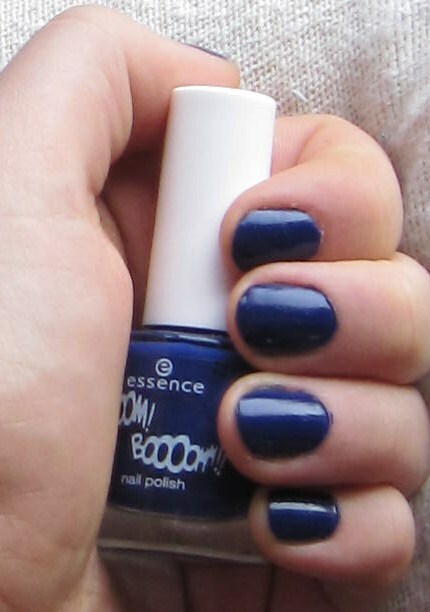 Begin with applying a protective base coat over your bare nails, followed by several layers of the dark blue. 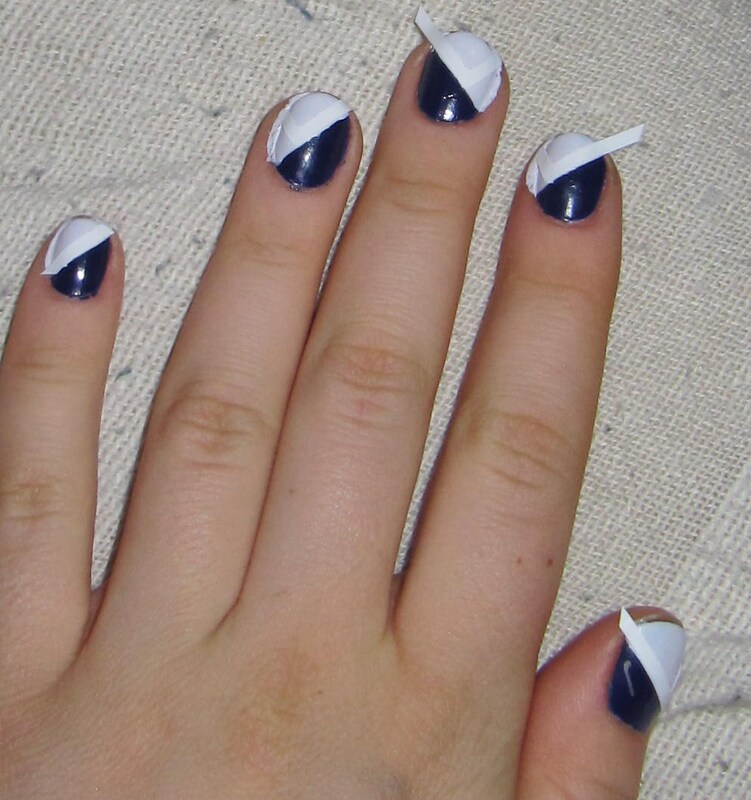 Then, apply slanted strips of clear adhesive tape, to create a diagonal line on each of your nails. (Stick the tape on the back of your hand several times first, to remove the excess glue.) 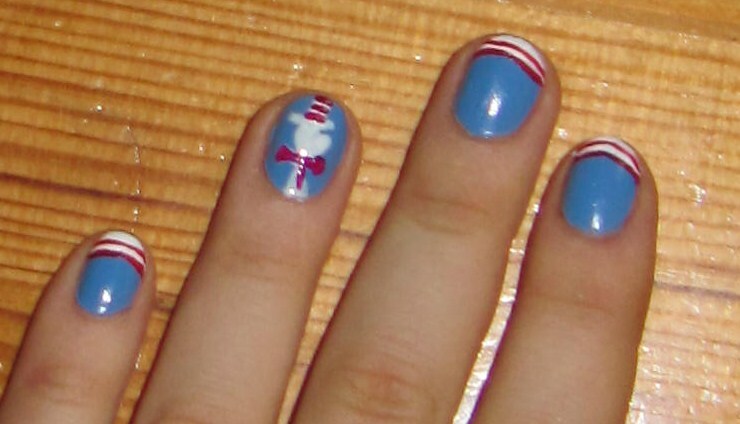 Then, paint the top half of the nail white. Don’t worry if it’s a bit messy around your cuticles, you can always clean that up with a cotton swab and a bit of nailpolish remover later. 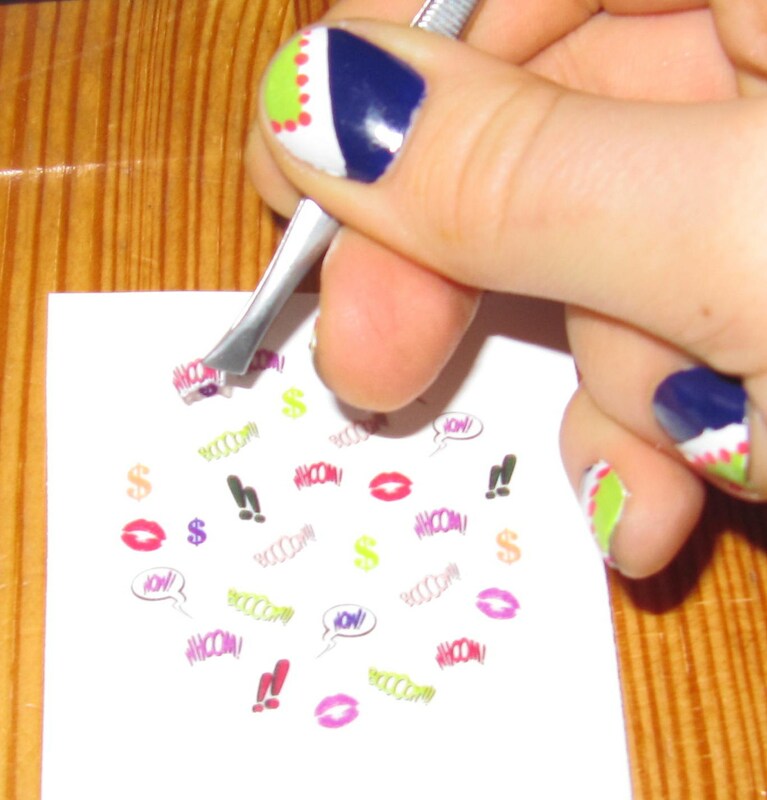 Wait until the nailpolish is nearly dry, then carefully peel off the tape. 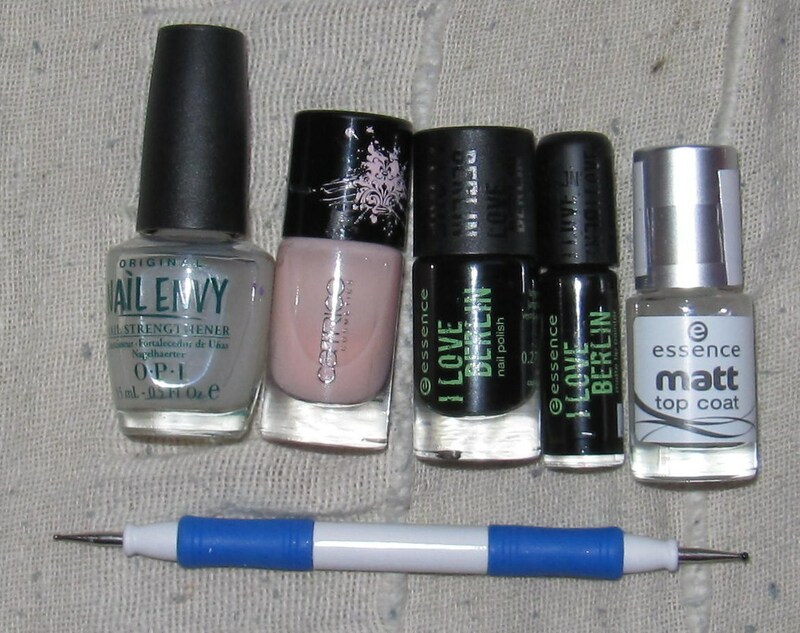 Next, take the angled french nail tip guides (available at most drugstores or nail art counters), and position them on the white area, as in the picture (again, remove the excess glue first). 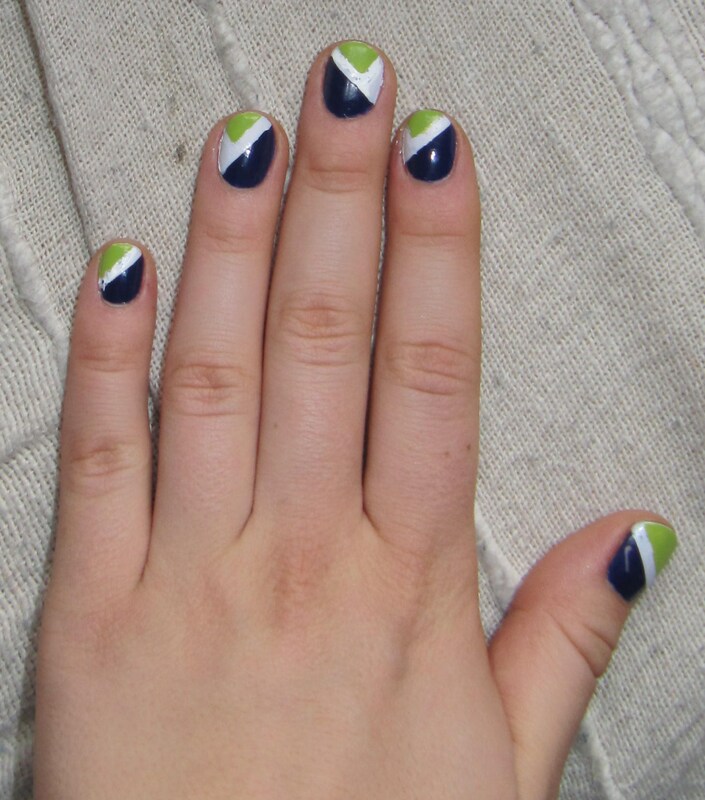 Apply the lime green to the tips on the nails. When the green coat is nearly dry, carefully remove the guide stickers. 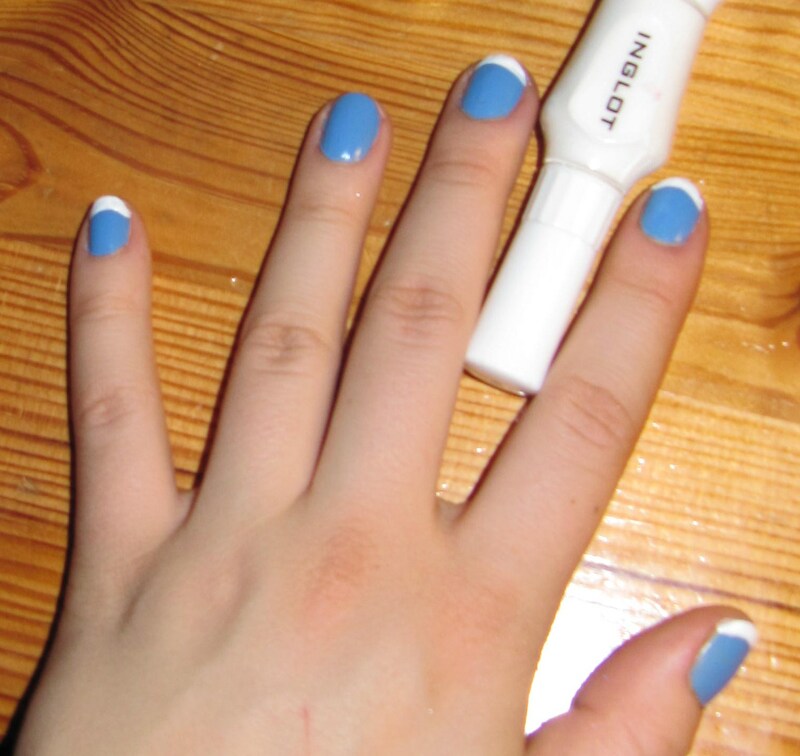 Fix up any imperfections with the white nail tip painter. 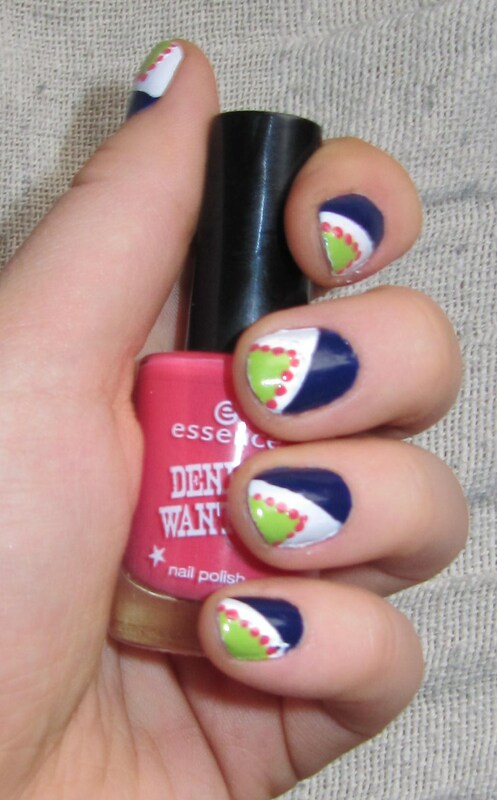 Using the dotting tool, create little coral red dots along the edge where the white meets the green. And now for the fun part! 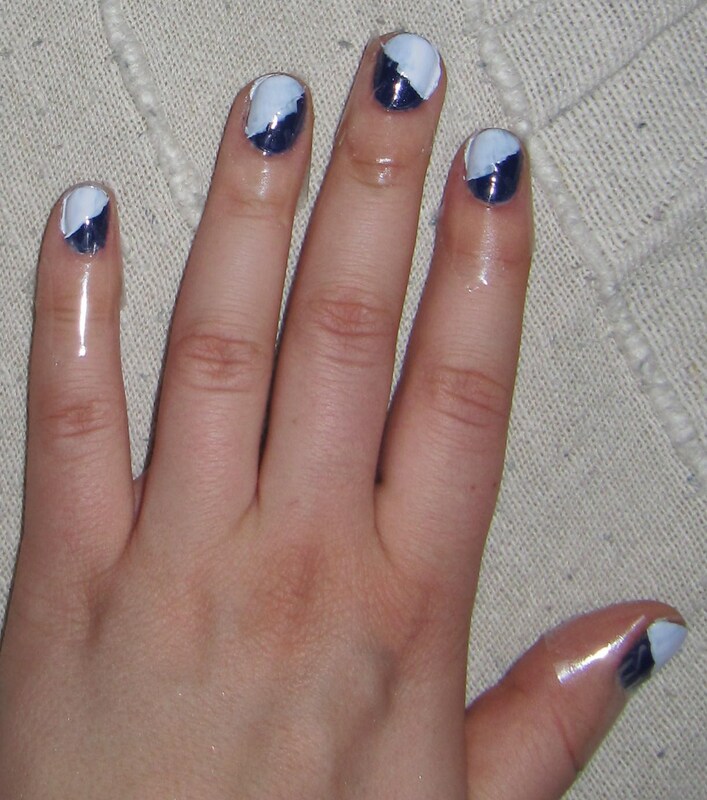 Using a pair of tweasers, carefully pick up one of the nail stickers and place it on the dark blue area of the nail. 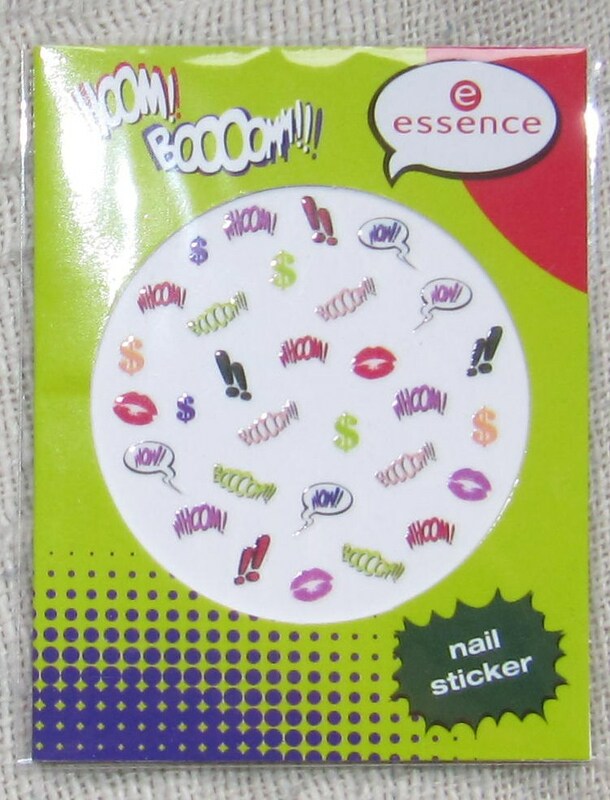 The set contains pleanty of colorful fun stickers with lips, dollar signs, exclamation points, speech bubbles, etc. And all the stickers smell of peppermint! Small impractical detail, but a really nice touch in my opinion. 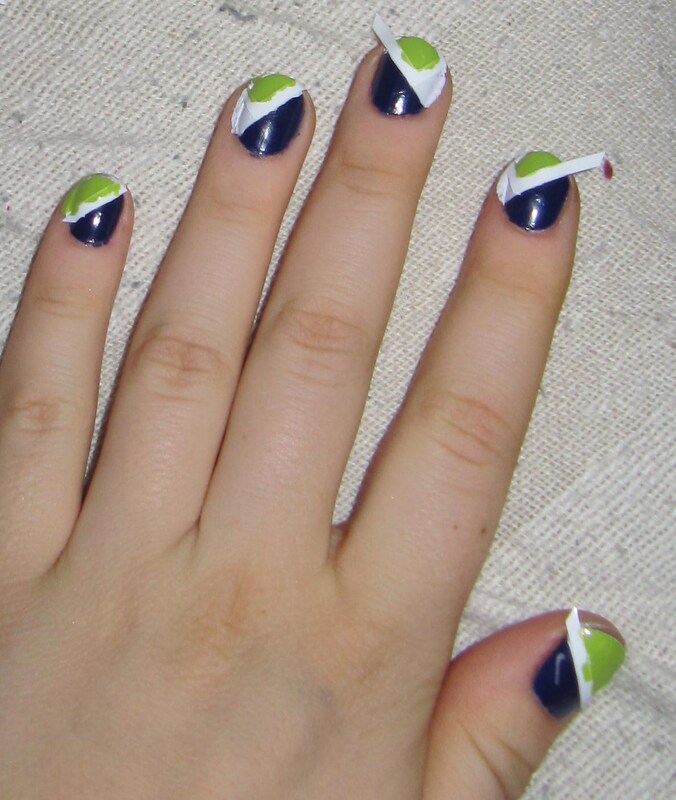 This design is very easy to do without special tools–all you need is 3 of your favorite colors and a toothpick! 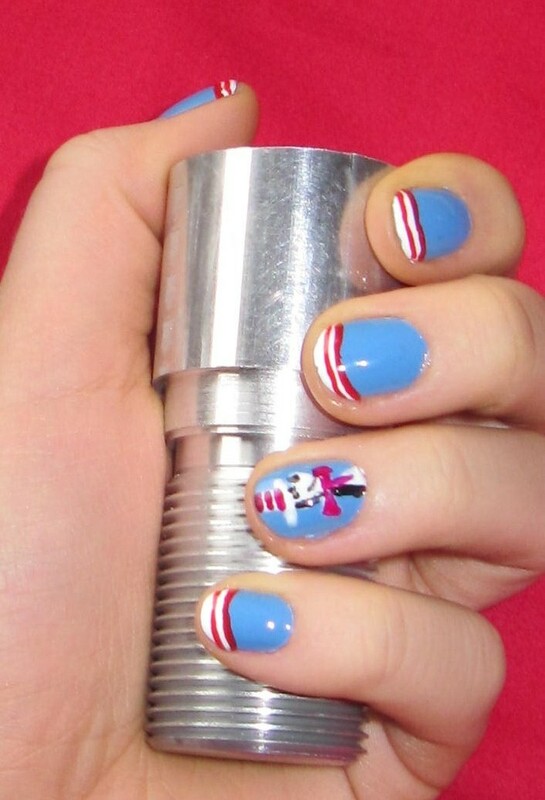 Dr. Seuss Cat in the Hat nail art tutorial 2! Hi peeps! 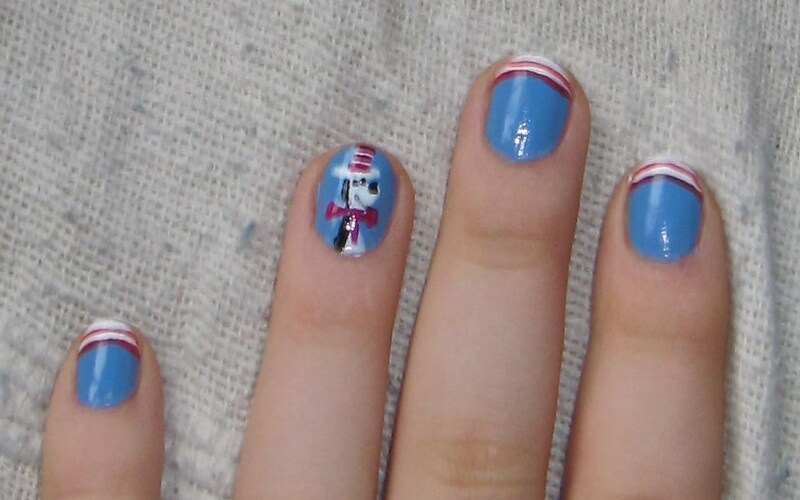 Since according to this post, you all absolutely loved these two tutorials, I made a new Cat in the Hat* nail art design! 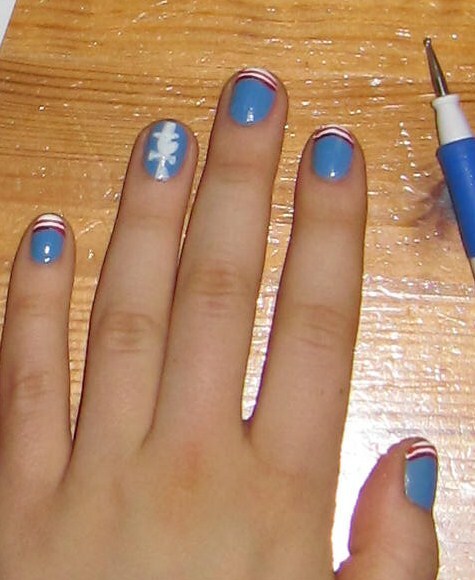 Once your base coat has dried, apply the sky blue color to your nails. 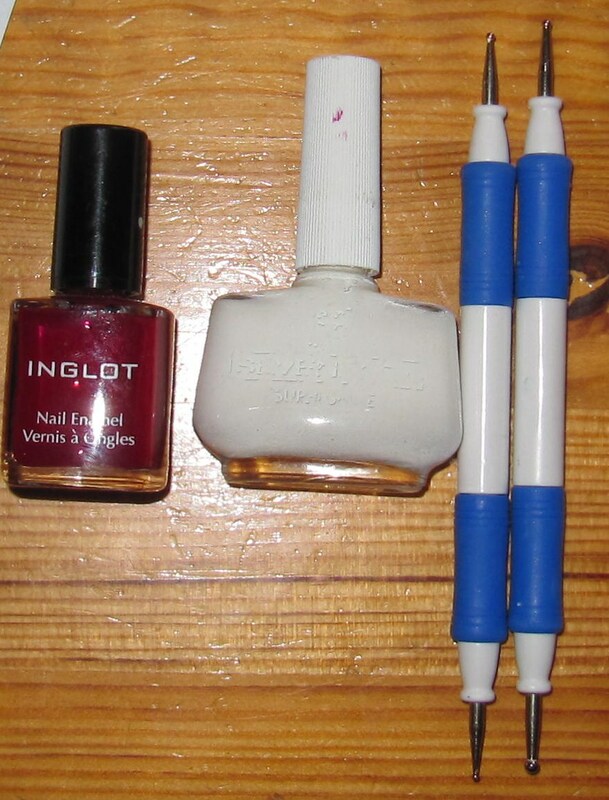 Get your red and white nailpolishes, along with your dotting tools and a scrap sheet of paper, ready. 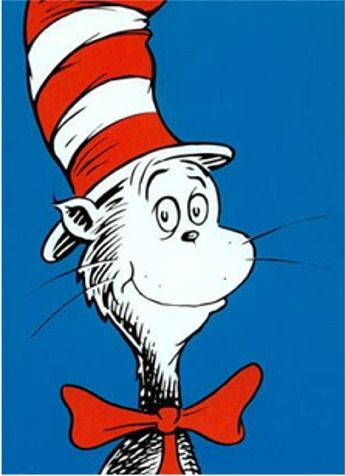 Dab a bit of the white nailpolish on the scrap sheet of paper, and with the medium dotting tool, roughtly create the outline of the Cat in the Hat on your ring finger. Next, dab a bit of the red polish onto the paper and with the smaller dotting tool, create the red hat stripes and the bow. Finally, with the black nailpolish and the smallest dotting tool you have, fill in the black parts of the cat’s body and draw his facial features. 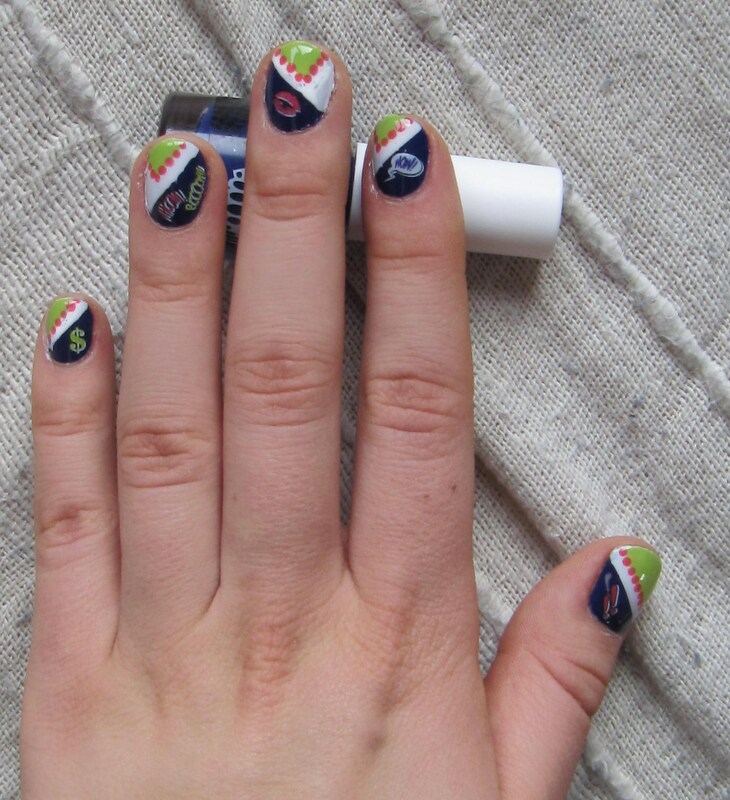 Since you applied so many layers of nailpolish, wait a long while (I would recommend an hour) until your design is completely dry before applying your top coat. 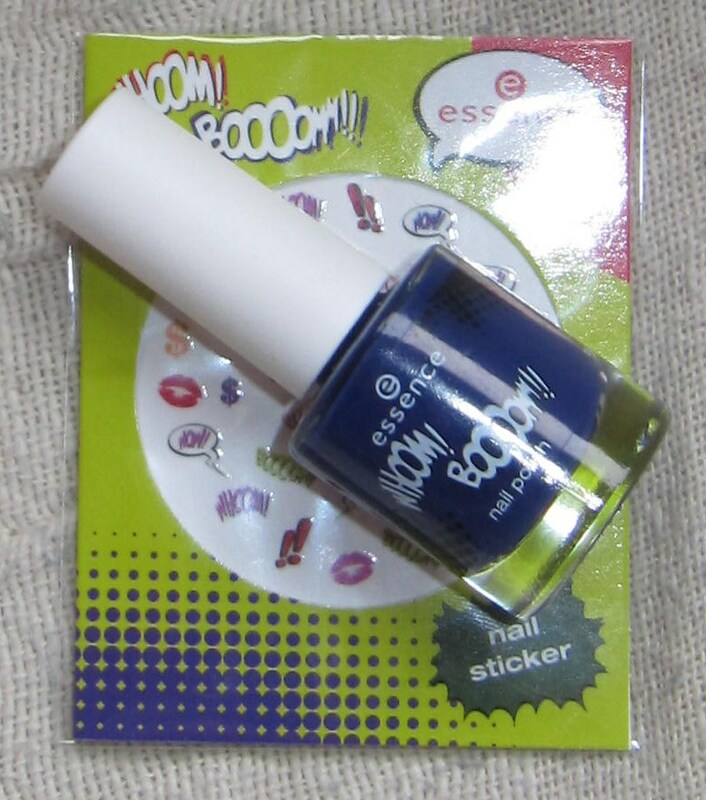 The new Essence Whoom Boom limited collection edition is out and I picked up two things from the nail art section. 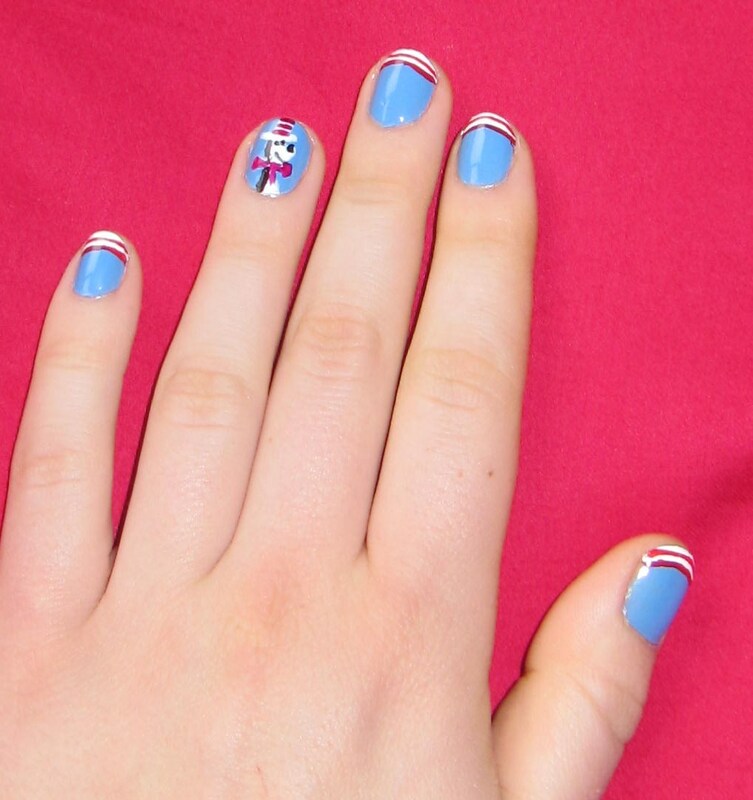 Firstly, the nail varnish. Out of the four nailpolishes I got just one: 01 Chacalaca. 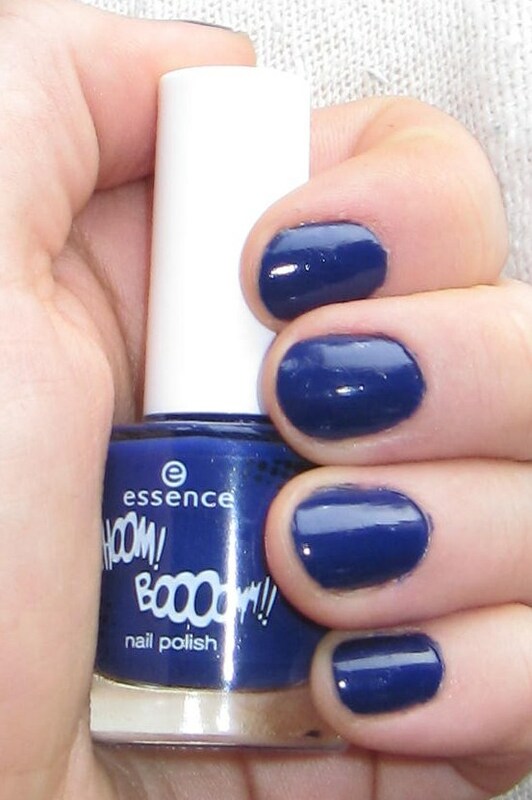 It;s a deep shimmer-free blue with a purple undertone. 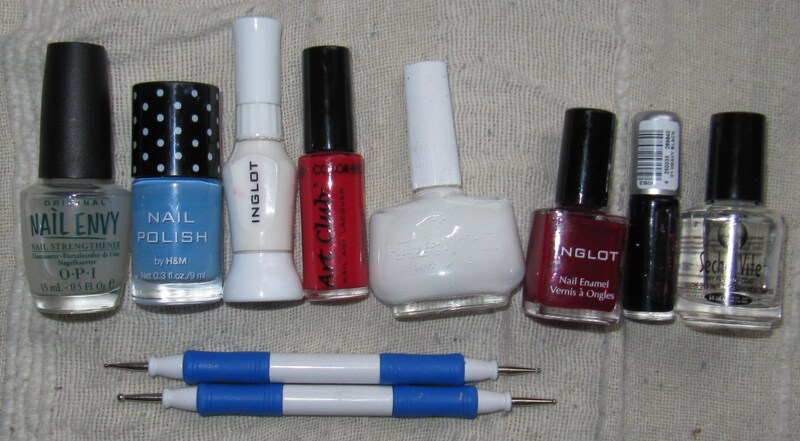 The nail varnishes were around 1.75 euros each. There was also a hot pink, orange, and lime-green one but I already have similar shades so I passed on those. 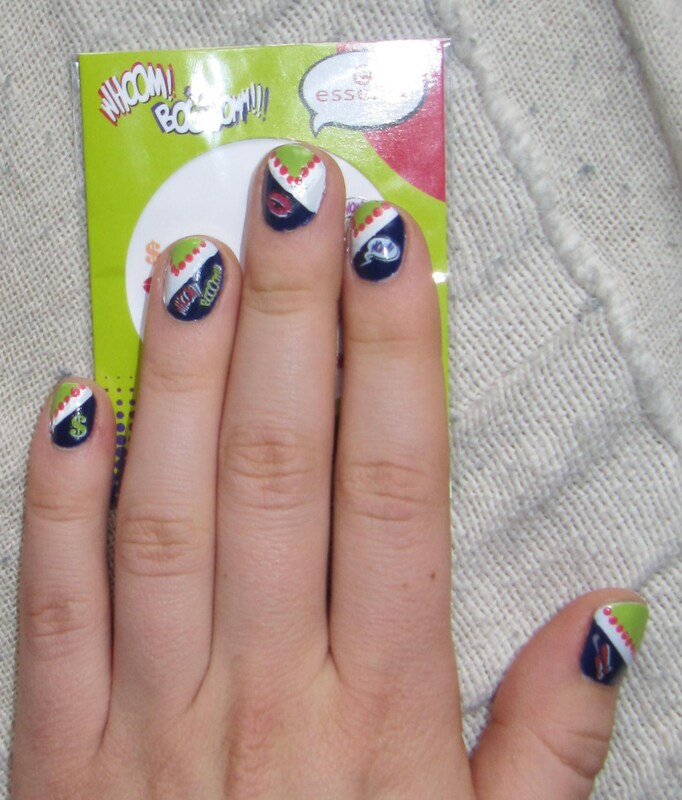 The second thing I got was the nail art stickers that came with the collection. They’re very cute and fun, and they’re scented! The smell is like eucalyptus mixed with liquorice… kind of like peppermint, which suits the style of the collection very well. 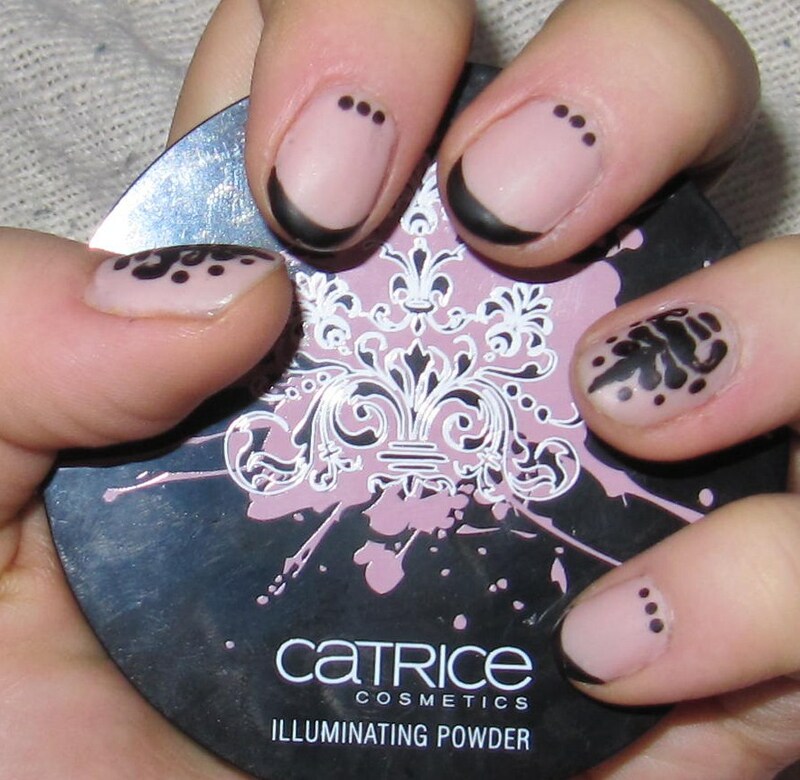 This nail design was inspired by the Catrice Urban Baroque limited edition collection. It aims to combine Baroque elegance with a dirty, vintage feel. – a medium and a small dotting tool. 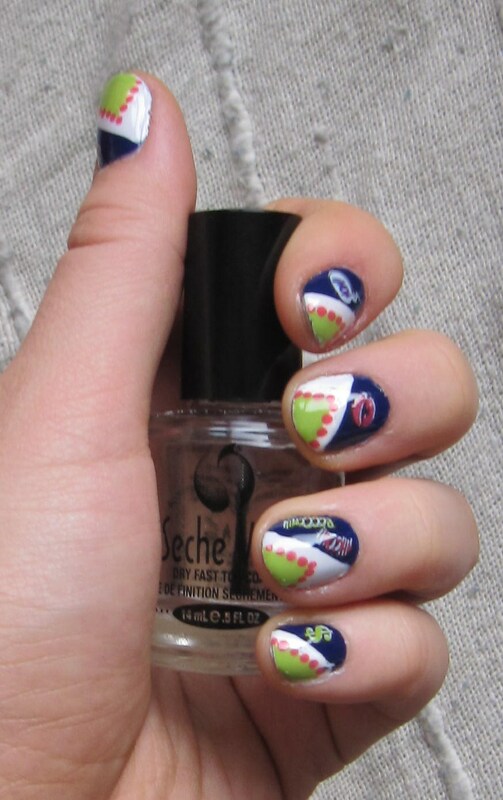 Begin by applying a base coat. 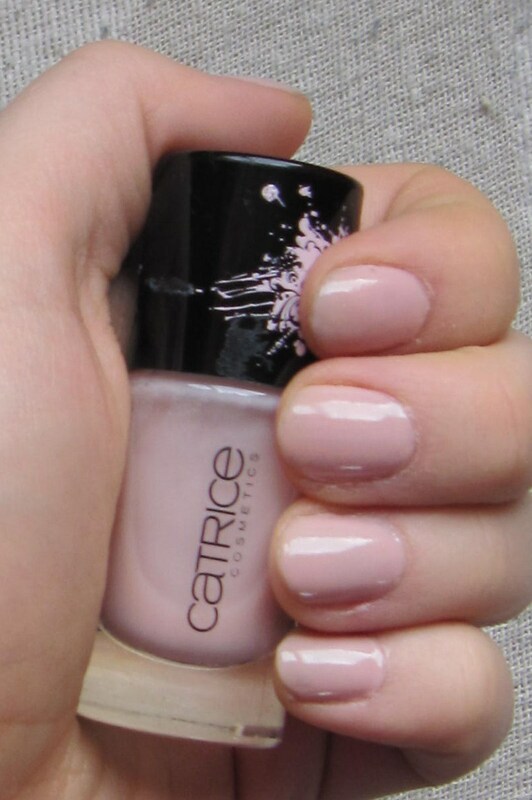 Once that is dry, apply several layers of the pale pink until the color is opaque. 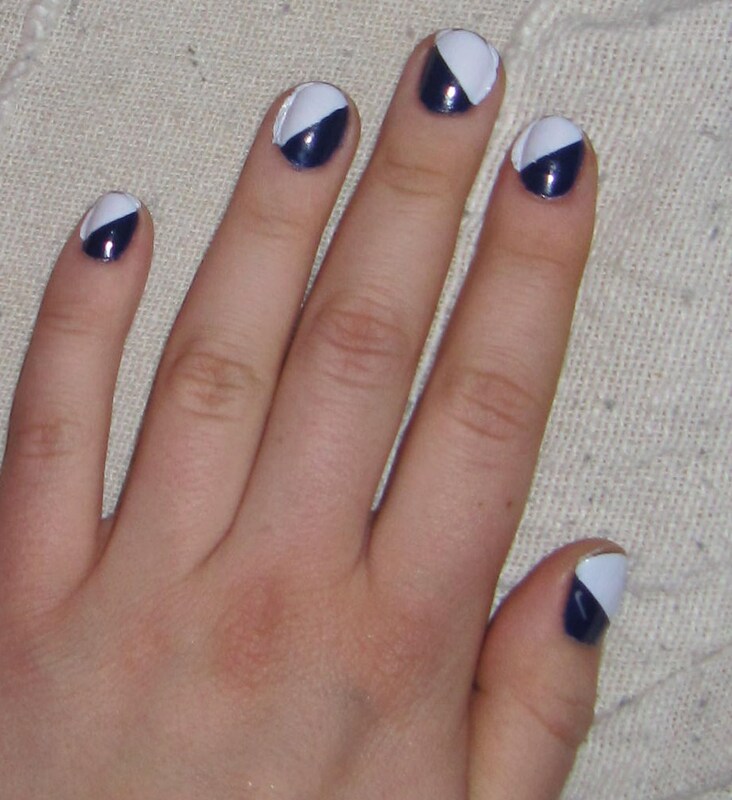 With the black tip painter, create a french tip on your pinky, middle and index fingers. 1. 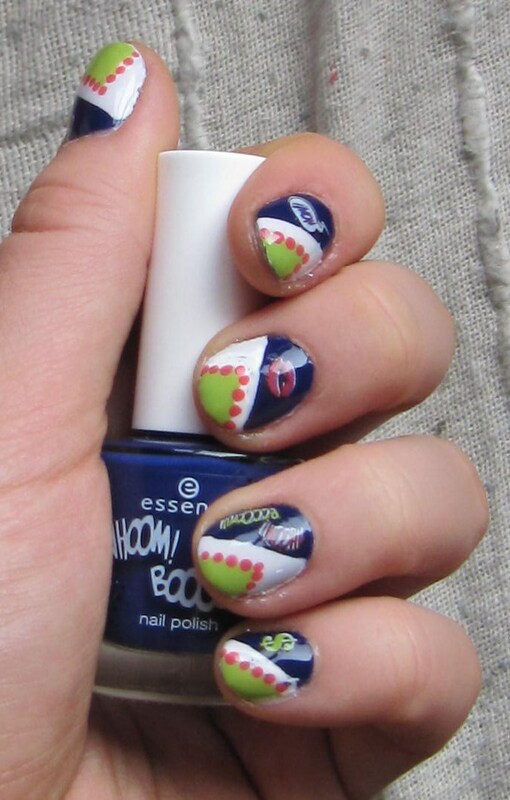 With the medium dotting tool create five dots in a triangle-shape, closer to the tip of your nail. 2. 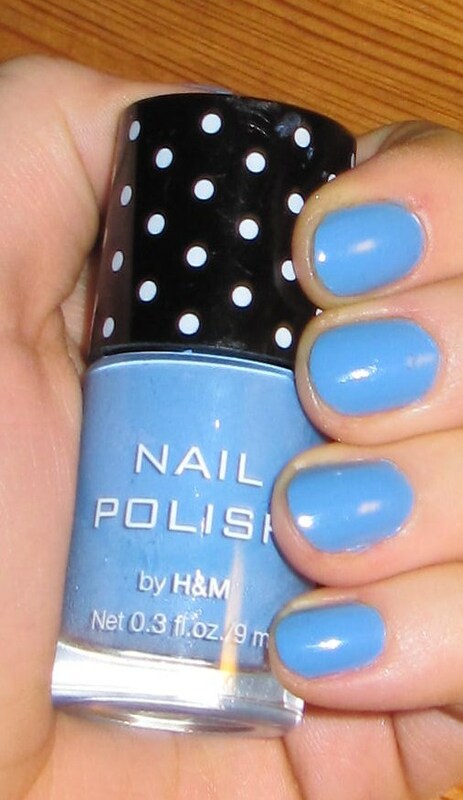 With the small dotting tool or a toothpick, drag the nailpolish from the dots downwards to a point below the center of the triangle. From the top dot, drag an additional line upwards. 3. With the medium dotting tool, create a large wide “dot” just below the point where the dot-lines meet. 4. Drag two C-shaped curls from the dot, downwards. Create two short lines under the wide C-shape. 5. Add a few small dots around the vase design. 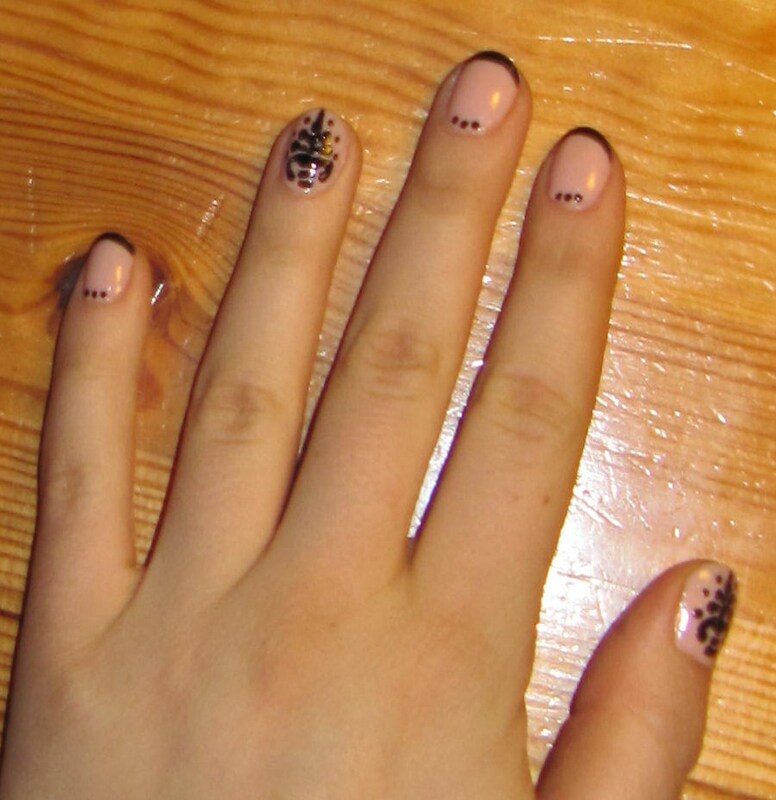 While the designs on your ring fingers and thumbs are drying, add three small black dots at the base of each of the french tip nails. Wait at least 40 minutes until all of the layers have completely dried. 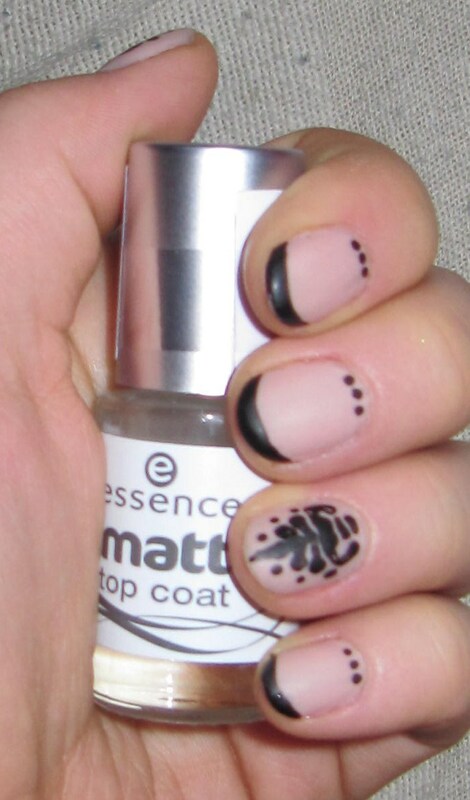 Then apply a matte top coat to your nails. This will give the design that dirty vintage feel. February was declared a no-shopping month for me so I have a tinyhaul from a few thigs I picked up in the end of January and the beginning of March. 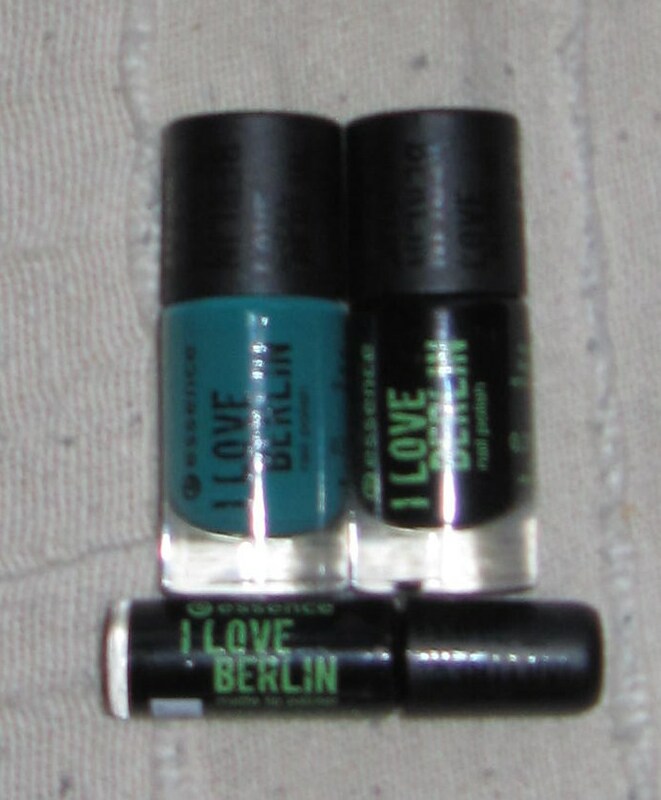 03 Green Grass, 05 Berlin Story, and the black matte tip painter. Green Grass is an intense shimmer-free blue-green color. I’ve already done a tutorial with it–absolutely gorgeous color! 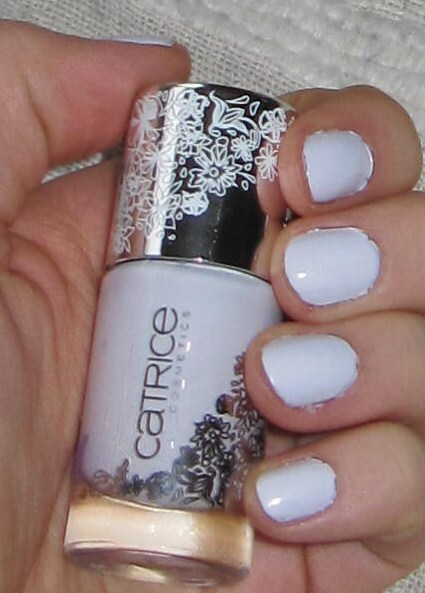 And like all Catrice nailpolishes–very good quality. 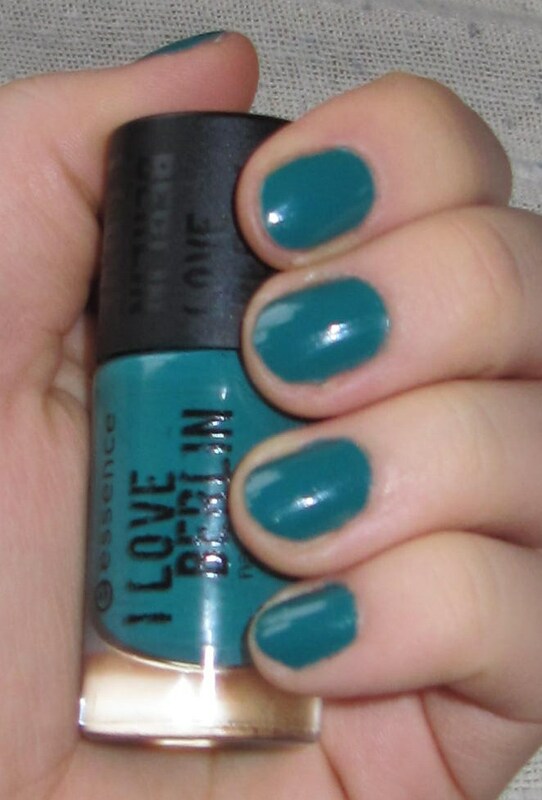 05 Berlin Story is a plain black color, which is a great staple to have in your nailpolish collection. 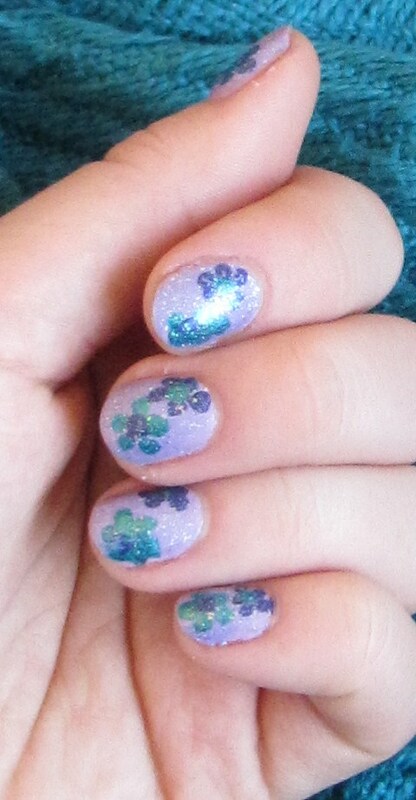 This one is quite opaque, so I’m really happy with it. The tip painter is good as well; the brush is very thin and sturdy. I don’t care much that it’s a matte painter, as I’ll be using it with a top coat anyway. It’s a gorgeous pastel pink color, though I was a bit dissappointed at the low pigmentation–the above coverage took five coats! 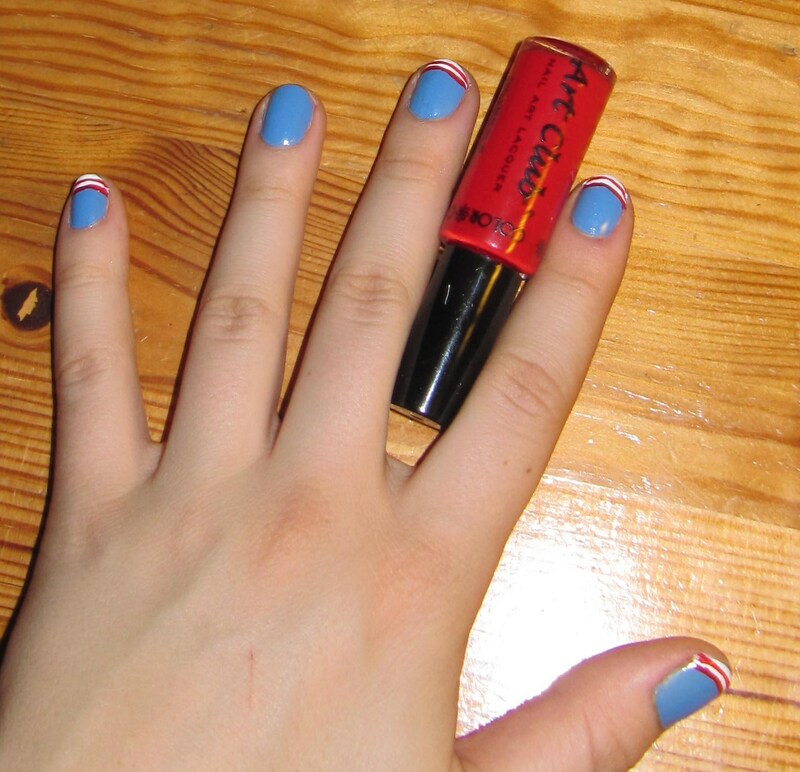 Although this gives the nailcolor a translucent quality. Very pretty and feminine. Last but not least, I got 160 Sweets for my Sweets from the permanent Catrice collection.